Need some cool terrain without breaking the bank? TFH Terrain Bundles are for you! 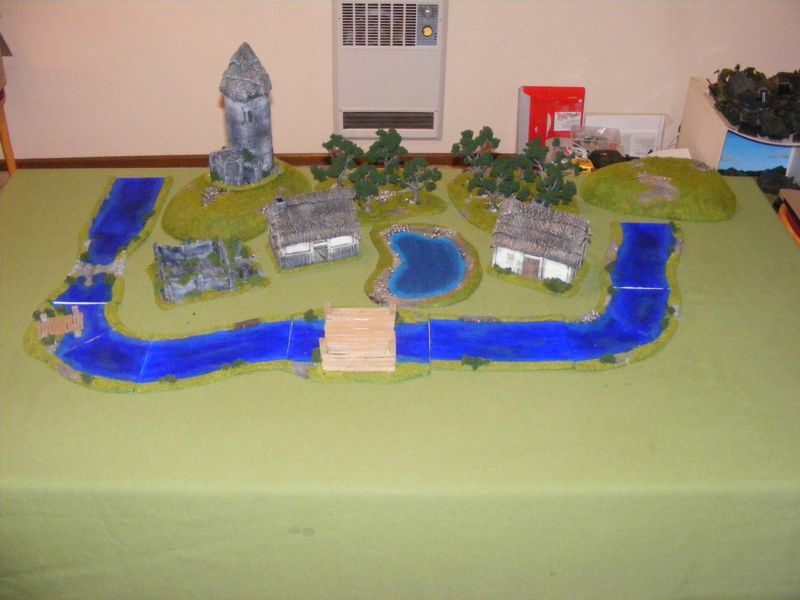 Custom hand-built terrain at a reasonable price. The Hippo and I have years of experience at making economical terrain quickly and to a high standard. Why not take advantage of one of these sharply priced bundles to set yourself up? We can ship to most places and pick-up can also be arranged if you prefer. Email for payment details and shipping quotes. 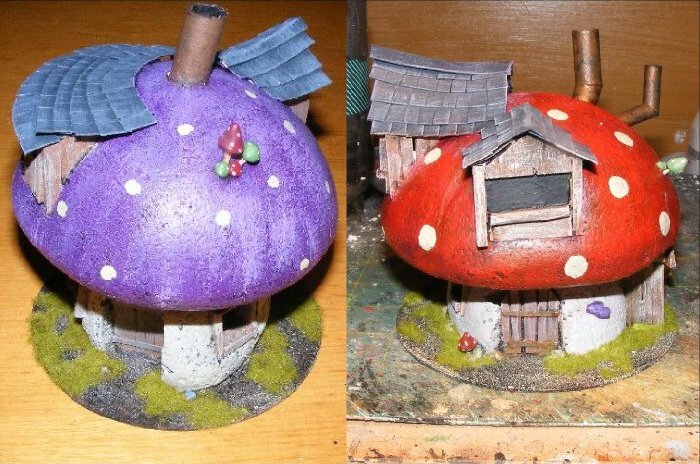 Three full sized Mushroom houses with your choice of basing - perfect for Goblins! Three ten-man battle bunkers with removable roofs and full interiors and your choice of basing. An ideal starting point for any SF player. The complete My First Terrain Set as seen in TFH Ishoo Firteen PLUS two cottages, a watch tower and a river complete with bridge and ford. This set gives you more than a table's worth of terrain for Warhammer, and allows you to not only use the rules for buildings, but to play the Watchtower Scenario as well! NOTE: TFH bundles are made by hand when orders are recieved, so they don't ship immediately - nor do they look exactly like the items shown in the pictures. They are for illustrative purposes only, and finished terrain items will look slightly different.